Pre-concert conversation, 'Inside the Music,' is at 7 p.m.
Violinist Sarah Chang is one of classical music's biggest and best-known soloists. Winner of an Avery Fisher Career Grant followed by the Avery Fisher Prize in 1999, Chang became the youngest inductee to-date in Hollywood Bowl’s Hall of Fame in 2004. The Korean-American musician, who has made 20 recordings for EMI Classics, has served as a U.S. Cultural Ambassador and was a torch bearer in the 2004 Olympic Games. In 2006, Newsweek magazine named her on its list of 20 Powerful Women. In 2011, Chang followed in the footsteps of violinists Itzhak Perlman and Isaac Stern to perform for St. Cecilia Music Center's Great Artist concert. This week, Chang returns to Grand Rapids – along with a 1717 Guarneri del Gesu violin formerly owned by Stern – to open the Grand Rapids Symphony’s 2017-18 Richard and Helen DeVos Classical series. Her return to DeVos Performance Hall for the first time in 12 years is largely due to her friendship with Grand Rapids Symphony Music Director Marcelo Lehninger. “She’s a wonderful violinist and a great friend of mine,” Lehninger said. 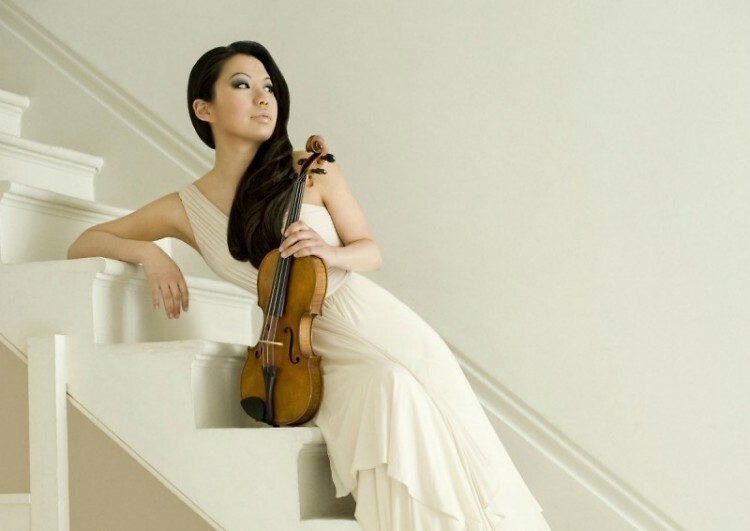 Since her debut with the New York Philharmonic at age 8 followed by an appearance with the Philadelphia Orchestra, Sarah Chang has appeared with nearly every major orchestra and almost every important classical music festival throughout the world. In Grand Rapids, Chang will perform the Suite from West Side Story for Violin and Orchestra, arranged especially for her by film composer David Newman from Leonard Bernstein’s well-known Broadway musical. Lehninger, who was appointed Music Director of the Grand Rapids Symphony in June 2016, will make his first season-opening appearance with the orchestra on Friday and Saturday, September 15-16. The concert includes Ravel’s Bolero, an all-time audience favorite. Featured prominently in the 1979 film “10” starring Dudley Moore and Bo Derek, the piece that’s focused almost entirely on orchestral color has become Ravel’s most popular work with audiences. 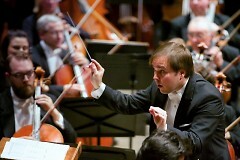 Lehninger also will conduct the Grand Rapids Symphony in Rachmaninoff’s Symphonic Dances. Premiered in 1941, it’s Rachmaninoff’s final composition before his death two years later. All three of its movements pay homage to Rachmaninoff’s earlier work, offering a romantic remembrance of the composer’s beloved homeland in Russia, which had been obliterated by the Soviet Union. The Grand Rapids Symphony opens its 88th season with Ozark Traveler by Michigan composer Jeremy Crosmer. Commissioned by the orchestra, the piece celebrates American classical music of the 20th century by Charles Ives, Aaron Copland and Leonard Bernstein. The title takes its cue from Copland’s Appalachian Spring. Crosmer, a native of Little Rock, Arkansas, grew up near the Ozark Mountains. Crosmer, who served as assistant principal cellist of the Grand Rapids Symphony for five years, this fall takes up a new post in the cello section of the Detroit Symphony Orchestra. Taken together, Lehninger promises an exciting opening to the Grand Rapids Symphony’s 2017-18 season.